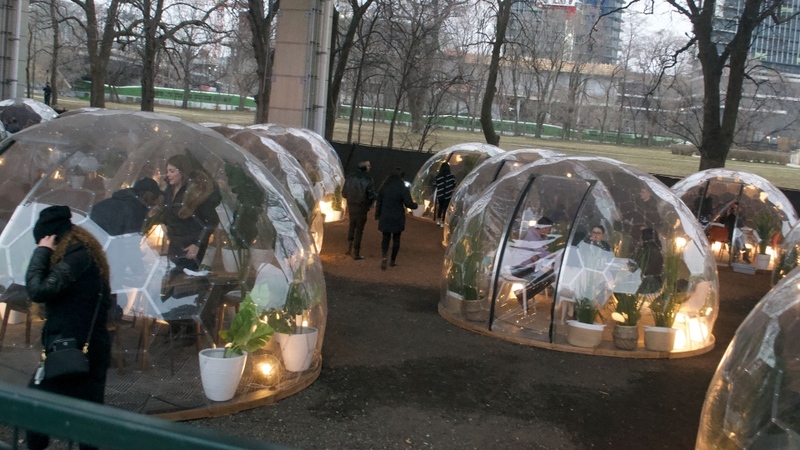 “In our city, homeless people living under the Gardiner with no heat are evicted, meanwhile pop-up restaurants serving luxury dinners in heated domes under that same highway are granted permits. 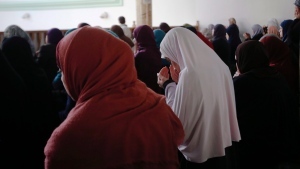 The brazenness in our opinion begs a challenge and we’re happy to oblige,” Yogi Acharya, event organizer and activist with OCAP, said in an interview with CTVNews.ca. 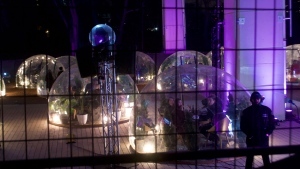 The domes are temporary and will be removed once the event ends in May. Protesters brought noisemakers such as drums and speakers and were as loud and lively as possible in an effort to disrupt the diners. But Acharya wants to make it clear that OCAP’s “beef” is with the City of Toronto, Mayor John Tory and his backers. Activists said they want the city to stop closing down respite sites without adequate replacements and they want officials to build more shelters so that people don’t have to sleep in tents under the Gardiner. OCAP also wants the city to buy land and create more rent-geared-to-income housing. Dinner With A View responded in a public post stating they were familiar with OCAP’s plans to protest. 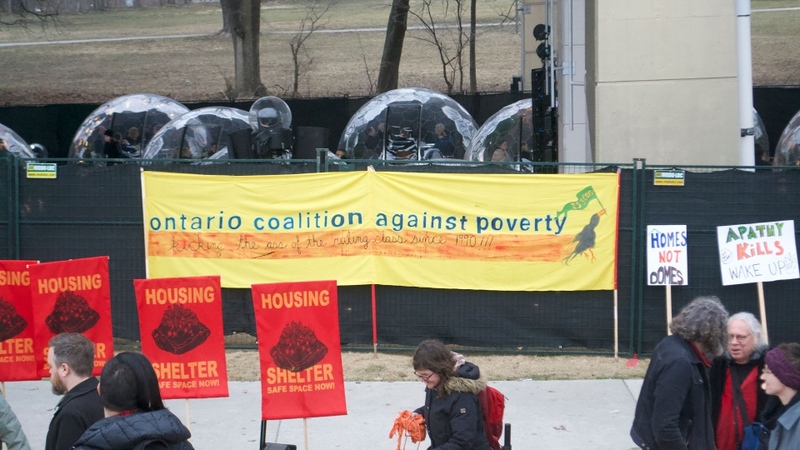 “We are very sympathetic to Toronto’s homelessness crisis for sure, but please understand that there were no encampments removed to make room for this event. The encampment removal was approximately 2 kilometres away and we were committed to our location nearly a month before this happened,” a spokesperson with Dinner with a View said in an interview with CTVNews.ca. The same spokesperson said both the venue and the dining event are independently run. “Dinner with a View is an independent organized event. Our venue, the Bentway, is run by an independent charity and is also not an agency of the City of Toronto. Events like ours generate funds that allow the Bentway to offer free, low-cost programming for the entire year,” the spokesperson said. The pop-up was prepared for the protest by having police present and putting a tarp on their fence to hide the domes. Protesters destroyed the fence around the pop-up in an effort to expose the diners. Police patrolled the barrier and stopped anyone from trying to pull down the tarp, climb in or throw things into the event. A representative from the pop-up declined to comment during the protest.